Famous sports Illustrated swimsuit model Molly Sims got engaged to producer Scott Stuber, according to People Magazine. A representative of Sims’ confirmed the rumors that the couple has taken the next step into a more serious affair. Scott Stuber, 42, asked Molly Sims, 38, to marry him, on May 20, tells her representative to the magazine. This actually happened 5 days before her birthday. When she said yes, they decided to celebrate the great news together with family. So he invited her parents to fly to Los Angeles so they can toast to the future Mr. and Mrs. Stuber. Molly and Scott have been dating for a year and a half before him popping the question. Molly, born May 25 1973, is best known in the fashion industry for her appearances in the Sports Illustrated Magazine, especially in the swimsuit issues. She is also an actress. She played the role of Delinda Deline in the drama Las Vegas, which aired on NBC, and starred in several other movies: Starsky & Hutch (2004), The Benchwarmers (2006), Yes Man (2008), The Pink Panther 2 and Fired Up (2009). She is very involved in non profit organization work, such as being an ambassador for Operation Smile and supporting the efforts of Friends of El Faro, an organization that is raising money for Casa Hogar Sion, an orphanage in Tijuana, Mexico. In 2010 she launched her own jewelry line which includes a variety of necklaces, earrings, bracelets and rings. The collection is named Grayce by Molly Sims. Scott Stuber was married before, to actress Rachel Nichols. They tied the knot in Aspen, Colorado on July 26, 2006. But the marriage didn’t last more than a few months. His professional life, however was blossoming all along. In 2004 he was named Vice Chairman of Worldwide Production for Universal Pictures, where he has worked before as Co-President of production. In November 2008, he signed a five year contract with Universal Studios under Stuber Productions. He has produced a series of films before, like The Break-Up(2006), You, Me and Dupree (2006), The Kingdom (2007) and Role Models (2008). Stuber Productions has been credited with producing “Love and Other Drugs”( 2010) and Couples Retreat” (2009). 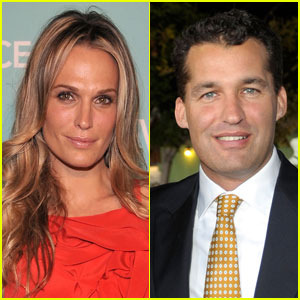 Now, the representative of Molly Sims says the two are “both very happy” about the engagement and the marriage plans. I am doing family research and I think Scott Stuber might be related to some Stubers here in Kansas. I just need to ask him a few questions to see if there is a link.